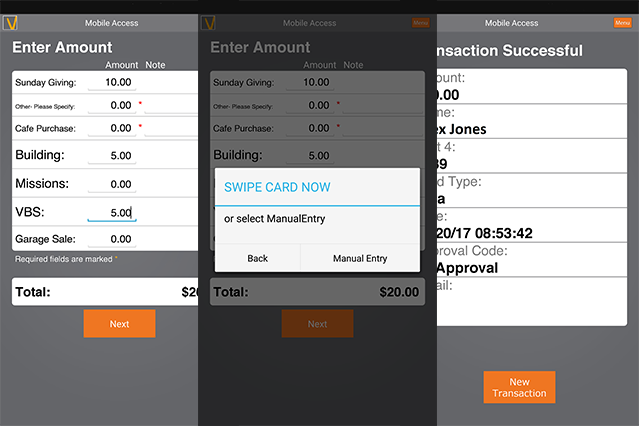 Whether you’re running a bake sale or selling tickets to an event, give your members and guests the flexibility to pay with the swipe of a card. How easy is it to set up GivePlus Swipe? You’ll be up and running with your Swipe in a matter of minutes. Simply plug the card reader into the audio jack of your tablet or smartphone, download the Mobile Access app, login to the app, and start taking debit and credit payments. What payment methods are accepted via GivePlus Swipe? 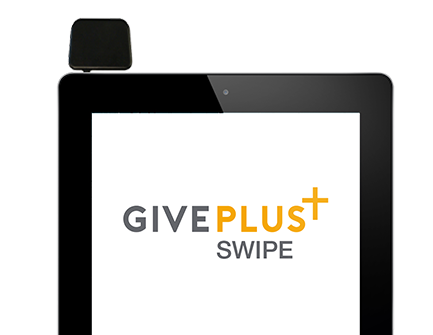 GivePlus Swipe supports payments from all major debit and credit cards. Is it possible to get a card reader without enrolling in a giving plan? No. Our simple pricing plans offer a flat monthly fee and low rates. Each plan is designed to include everything your church needs to start or grow an electronic giving program. You can customize your plan with options for text, kiosk and card readers.